ESTABLISHED IN 1992, KPN GROUP CORPORATION LIMITED IS A CONGLOMERATE WITH DIVERSIFIED HOLDINGS AND A CORPORATE STRUCTURE THAT HAS EVOLVED OVER THE DECADES IN LINE WITH THE SHIFTING ECONOMIC LANDSCAPE. For years, KPN’s core identity was that of an automotive manufacturer. Indeed, this was not far from reality as the group was a major industry player. 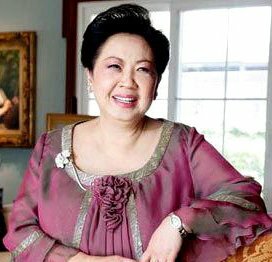 The origins of KPN were rooted in Khunying (lady) Phornthip Narongdej, who was the extraordinarily successful chief executive officer of siam motors group, the first company in Thailand to import japanese automobiles and heavy machinery founded by her late father Dr. Thaworn Phornprapha. Khunying Phornthip’s extensive and in-depth experience in automotive paved the way for her to form KPN with her husband Dr. Kasem Narongdej. Established as their wholly owned business. 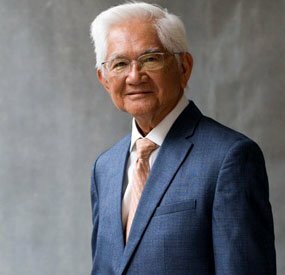 “KPN” is derived from its founders’ names – Dr. Kasem and Khunying Phornthip Narongdej. The formation of KPN coincided with the period when the Japanese automotive and motorcycle industry first used Thailand as a manufacturing base. It started off as the sole manufacturer and distributor of Yamaha motorcycles, and later for all major Japanese brands except Kawasaki. Consequently, the Group expanded rapidly into stamping, casting, and forging metal parts, and producing various electric, electronic, and plastic components for various marques. The Group produced components and parts for up to 80% of the market’s needs when manufacturing was KPN’s primary business. Less known perhaps during this period was KPN’s extensive involvement in the service sector with businesses such as logistics, automotive leasing, automobile spare part sales and distribution, and the import-export of motorcycle parts. Over the years, as manufacturing bases in various industries began to shift out of Thailand to cheaper countries, KPN decided to assess their holdings and re-align their investments to better retain its competitive advantage. Thus, the Group began to actively reduce its role in manufacturing businesses from being an operational majority shareholder to a minority shareholder, and in some cases, completely divesting from the business. At the same time, the Group also began to diversify into new industries, and invest in existing businesses with brighter growth prospects. KPN Property Fund is a real estate investment fund launched and managed by Kasikorn Asset Management Co.,Ltd Since 2013 KPN Property Fund is a Thailand-based closed-end property fund. The Fund’s objective is to raise capital from general investors to invest in the freehold rights of land and KPN office building covering utilities, fixtures and related equipment. The KPN Tower Project includes an office tower and parking spaces. In the future, KPN Property Fund will remain vigilant in growing businesses in its areas of strength, whilst innovating and breaking new ground in different industries through various investments and in-house developments.